WELCOME HOME! 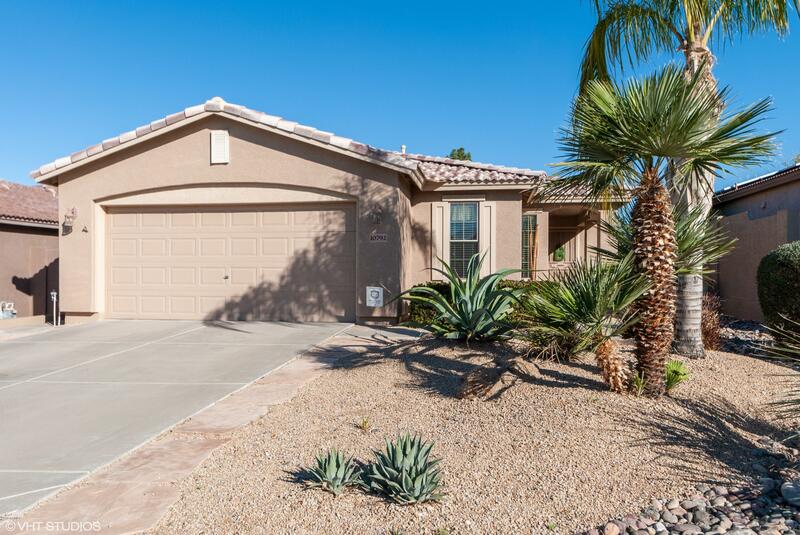 Beautiful 3BR/1.75BA split floorplan is prof landscaped and situated on prime interior lot of Ventana Lakes (55+) located in Peoria. As you approach the home the flagstone walkway brings you to a covd portico and sitting area. Once inside this well-appointed open concept home you start to notice the wonderful upgrades t/o. Recently refinished, the gas FP, lends a modern look along with wood floors, two-tone decorator colors and upgrd raised panel int drs. Kit features Blanco undermount sink, slab granite ctop w/subway tile backsplash, SS GE Profile upgrd convection range, French dr fridge. Pantry and oversized laundry rm both w/etched glass door. Master suite with W/I closet, dual sinks, W/I shower. Ext covd patio, HVAC 2015 and so much more! SEE DOCS TAB FOR FEATURES LIST.